Changing the face of the trucking industry is a huge task. If we all just do a little, the change can more easily take place. 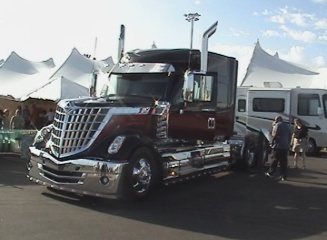 Truckers are seen thru a lens that produces negative opinions which are held commonly about drivers and the industry. It's based on old movies, biased new reports, ex-trucker wives who were mistreated or abandoned and the worse of drivers being highlighted for various reasons. While those individuals in who have made poor choices and caused problems or pain for others. The number of those types of drivers are a fraction of the 3 plus million truck drivers. Never the less, the perceptions they help produce have a huge impact on the quality of lives of other the truckers and their families. It affects how we are viewed and treated sometimes on the highways, at shippers and even at some companies. That being the case, it has an indirect impact on the trucking industry as a whole. If you look closely to the paragraph above, you will realize that everyone connected to the trucking industry including officers and four wheelers stand to gain by treating drivers better and seeking to improve the industry. I will elaborate on less obvious reasons why when I break down how you or your segment of the industry can contribute positively to the changes that I desire to see. Trucking Companies - These drivers are not robots. They have families and they have lives. Treat the drivers the same way you would want to be treated if you were a driver. Focusing entirely on the bottom line will only be counter productive to your desired result. If you want to increase driver loyalty, driver retention, better performance and work ethic, treat drivers like your would want to be treated. Increase your profit margins by doing things efficiently including hiring competent people in the office. If family or friends that are employed can't cut it then cut them. This doesn't mean not to give drivers with less than perfect records a chance. These people could very well end up being your best employees. When people prove themselves in an interview give them a chance to prove themselves on the job, don't assume from 10 incident on the record or criminal report that a person is not suitable for a position with the company. Dispatchers - Treat drivers like you would want to be treated if you were a driver. If a driver is responsible and dependable don't give him fabricated appointment times. You need to care about your job performance just like the drivers need to. I know some of you especially at large companies are college students. Please take your job serious while you are working, you are supposed to learn that as part of your college experience, I don't care what your are going to college for. Always give your employer at least 100 percent, that means trying to be effective with the logistics and relationship building aspect of the job. Thanks. Media We understand that you are interesting mostly in ratings first. Keep in mind that the perception you create in the mind of your viewers affects the lives of people. 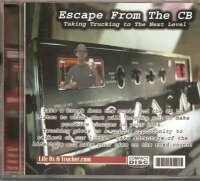 Take time to publicize many of the positive stories about truckers. There are angles to take to make the story interesting if you have the skills and creativity to do it. 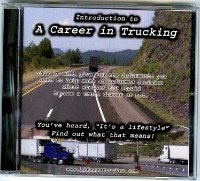 Many people would be interested in the details of a trucker's life. You can showcase exceptional drivers and hero's of the highway. Don't just put the few weirdo's and criminal out of the 3 million drivers on the top news story. When you cover accidents don't emphasize the truck or the truck driver when you know and have information that the truck was not at fault of the accident. Too many people take what you report in a literal sense and use it for a foundation from which to think. are Many don't look at the big picture or read between the lines, they take things literal and on face value. This is why what you feed them has such an impact on what they believe, if you care about people, be more balanced. You have people scared to drive beside us, wives and overly anxious about their husbands on the road and drivers and the general public has false beliefs about who we are. By creating these poisonous foundations in the thought process you are crippling the lives of many people and believe it or not you too will be effected eventually as long as you live and interact along with the rest of society. Let's be more fair and not be misleading in the stories that so many people's lives are shaped by. Truck drivers are the safest drivers on the road, have less than accidents than cars, and cause less of the accidents that trucks are involved in. Well that's enough for now! Got any ideas to ad to help change the face of the trucking industry please post them below, thanks. Who needs to do what to make the trucking industry a better work environment or improve it's image. Maybe one day they will read this page and wake up!